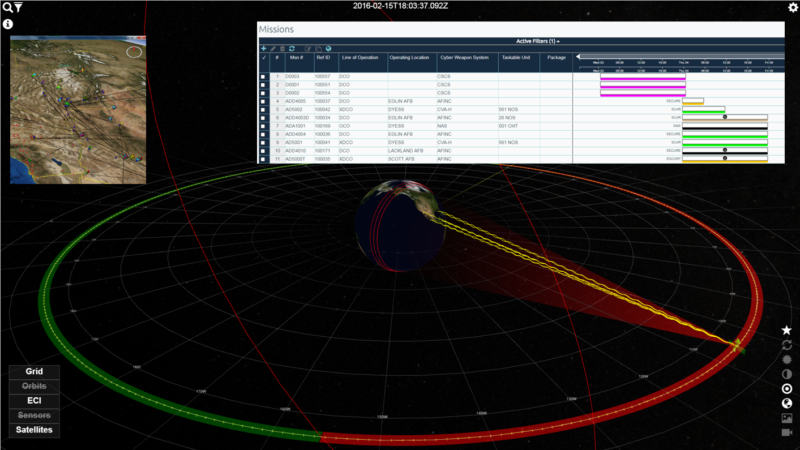 Mission solutions developer Polaris Alpha has developed C2Core, a Multi-Domain Command and Control (MDC2) solution to deliver mission management, strategic assessment, and situational awareness across domains, embracing space and cyber. Berenice Baker spoke to Marcus Featherston, executive vice president of mission solutions at Polaris Alpha, about what the company’s innovative full-spectrum approach offers the warfighter. Modern conflicts are increasingly complex, taking place across multiple domains at a tempo that challenges current command and control (C2) systems. In particular, with evolving challenges such as cyber and space warfare emerging more predominantly, it is becoming imperative for militaries to have tools that enable them to work across the full spectrum of modern warfare. However, with the often slow speed at which governments work to develop new solutions for such challenges, it seems likely that it is outside contractors who will have to play the principle role in providing fast, efficient measures. We find out if Polaris Alpha’s C2Core may be just such a measure. Berenice Baker: How did Polaris Alpha get involved in developing MDC2 solutions? Marcus Featherston: Even though we didn’t call it MDC2, we’ve been building solutions along these lines for a number of years. More than a decade ago when there was interest in cyber as more than just network defence, they were looking at making Eighth Air Force (8 AF) the cyber command for the US Air Force and building cyber command and control and doing mission development doing cyber technologies. We helped them adapt some of the traditional air and kinetic capabilities for their cyber missions. At that time we already knew C2 was a concept required across a lot of different domains, and so we built the baseline technology to support that idea. It was pretty easy once we got it, we just had to learn different terminology. The reality is C2 is like Federal Express and other mail delivery companies. They’ve got assets – their pilots and planes – and they’ve got things they need to get somewhere like a package they need to get to an address. The only real difference in the military is now I’m dropping off bombs at a target rather than leaving a package on someone’s doorstep. BB: What have been the challenges of integrating cyber and space into the more traditional domains? MF: Usually, the biggest things are organisational and mindsets; it’s getting people to think about the context. Too often people worry about what they’re responsible for day-to-day when they should consider the broader concept of “I could achieve my mission in a lot of different ways, it could be cyber, air, space…” Getting both commanders and lower-level operators to think in those concepts is a bigger challenge than technology, usually. BB: You mentioned the USAF. Are they using C2CORE? MF: Portions of it are used throughout USAF operations centres and some of them are running the entire suite. The Air Force Cyber Command C2 centre in San Antonio is running C2CORE and some foreign countries including Canada, New Zealand and Australia are running parts of C2CORE. The feedback we’re getting is that the operators love it. We built the technology with operators sitting side-by-side with developers both in-house and with people still on active duty. We tried to tune the way it works and what it does to what they want and need, as opposed to just a list of requirements. BB: In a technical brief you published, you mention the glacial speed at which government works to deliver solutions to modern challenges like cyber warfare. How does C2CORE address this? MF: One of the challenges is to get people to think about all of these domains outside of their little niche. One way to do that is to ensure they have the same technology baseline. With a screen doing cyber work and another doing air kinetic work, running the same technology with the same look and feel, your training burden goes down and it makes it much easier for people to think in those contexts. We also build capabilities that look across all of the domains so a commander can see his options in a whole bunch of different contexts at any one time, and it looks and feels exactly like what the operators are using. BB: Could it be used for missions involving different branches of the military? MF: That’s an extra challenge because the Air Force, Army and Navy are looking into MDC2. We’re starting to talk to some of those partners, doing what we can to help bridge those gaps. There’s definitely a challenge where any kind of government organisation is involved. Whenever someone sees a problem, they want to solve it on their own. For MDC2 it’s particularly important that they all work together and that’s something we hope to help with. BB: What’s next in MDC2 for Polaris Alpha? MF: We continue to develop new releases for operational customers, but in-house, we’re doing a lot of internal development on how you make an MDC2 construct. We’ve started to show it at trade shows and we’re building capabilities to show the ‘art of the possible’ to customers for how a commander could see across all the different domains and help build what we call courses of action or colours. Let’s say there’s a particular course of action and it could be satisfied by multiple domains either working in concert or individually. We help them build a set of options they could execute using machine learning and artificial intelligence technologies. You could say, “OK, there’s this option, I could have that done in three hours, but it only has a 40% chance of success and I could have some potential collateral damage. This second one would take two days to execute, but I would have no collateral damage concerns and it’s a much higher probability.” So then the commander can make his best assessment based on that feedback on which way is best to go forward. We’re doing a lot of that stuff in house now. BB: How is all this information presented in an actionable format? MF: When you look at the cyber and other warfighting domains including space, the amount of data is massive. We are developing artificial intelligence technologies and techniques to help crunch that down so people see what really matters, not just this massive sea of data. That’s challenging from a technology standpoint, and it’s a critical part of how we solve this problem. BB: Are you introducing any other capabilities? MF: We have a group that joined us a year ago that does land-based command and control solutions, including modelling and simulation, for the Army. We’re working this year to integrate those capabilities into our multi-domain platform. That brings the Army into our fold and is one of the ways we get the services to work together. Ideally, we’d love to be a great solution for people that want to understand and see what’s going on and control everything that really matters in that particular fight. As well as being multi-domain, we also aim to support the operation process from strategy through to tactical planning, which is another completely different mind-shift. It’s not just thinking about the overall operation, and how to plan, it’s how to monitor the plan and control it in real time.